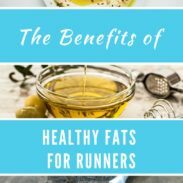 Runners follow a wide variety of diets: gluten free, vegan/vegetarian, Paleo, high carb, high fat, plant based, dairy free, or just your normal healthy balanced diet. Whether you abstain from meat or grains, one of the few foods found in all of these diets are seeds, particularly chia seeds. Chia seeds first rose to popularity with the best-selling book Born to Run: A Hidden Tribe, Superathletes, and The Greatest Race the World Has Never Seen. Christopher McDougall recounts how the Tarahumara Indians fuel their ultra-distance running with this ancient Mayan seed. Since then, runners, athletes, and healthy eaters have stockpiled their pantries with this tiny little black seeds, adding it to their smoothies, morning bowls of oatmeal, and salads. One tablespoon of chia seeds offers 25% of your daily magnesium needs. Magnesium activates certain enzymes that are vital to energy production, which means that chia seeds will energize you throughout the day and prevent fatigue. Magnesium can also improve oxygen delivery, which can provide endurance athletes with a boost in athletic performance. Chia seeds abound in fiber. Chia seeds contain 5 grams of fiber per tablespoon – that’s as much fiber as in two cups of broccoli or one large apple! Fiber aids in proper digestive function, lowers your cholesterol levels, regulates your blood sugar levels, and helps you feel satiated (source). Chia seeds are a plant-based source of calcium. Up to 65% of adults struggle to properly digest lactose, which means plant-based sources of calcium are desirable for most people’s diets. A 1-tablespoon serving of chia seeds provides you with 9% of your daily calcium needs. Consuming enough calcium can help runners prevent stress fractures and female athlete triad. That’s enough nutrition talk! Let’s get to the best part—eating! 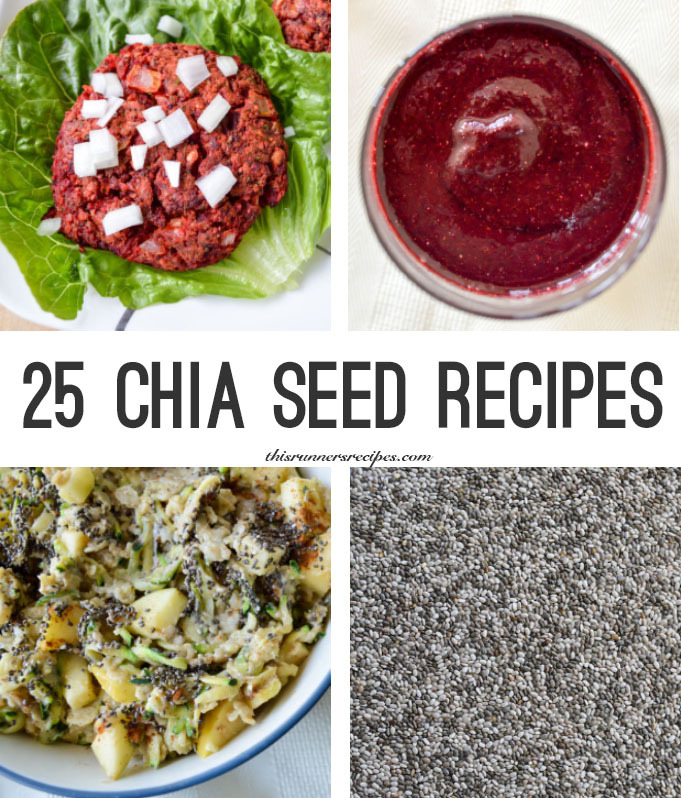 Chia seeds are incredibly versatile, as this round-up of recipes demonstrates. Since chia seeds expand when they encounter liquid, they make creamy oats, thick puddings, delicious drinks, and even work as egg replacers! What’s your favorite way to eat chia seeds? —> In my morning bowl of oatmeal! 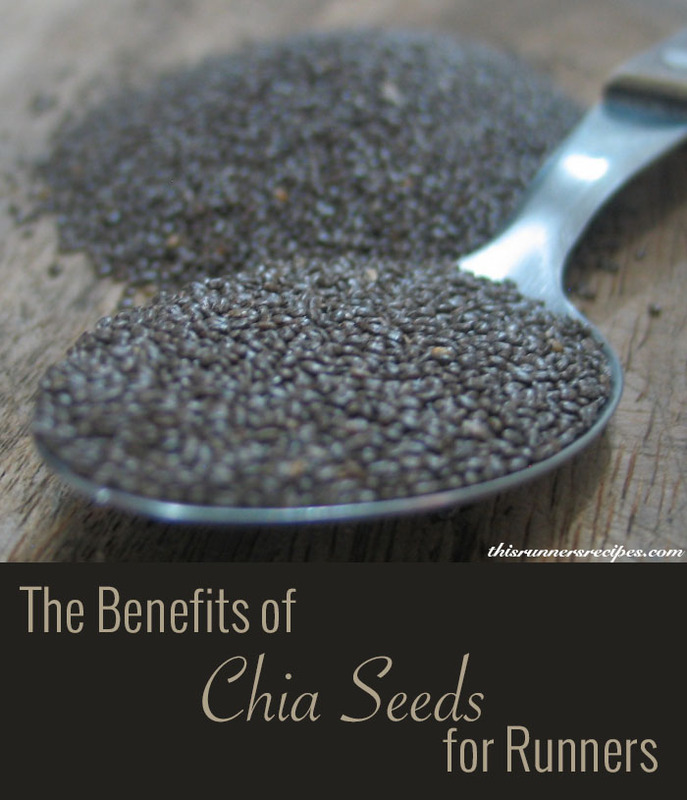 What a wonderful and informative article about the benefits of Chia. I add them to just about everything. 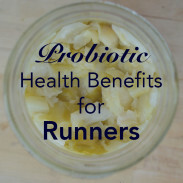 I love the chewy crunch that they add and as you point out, so many nutritional benefits. Thank you so much for the shout out. Great roundup. Rarely does a day go by that my husband and I haven’t eaten chia seeds in one recipe or another. It’s a powerhouse of nutrients. Thank you! They’re such a great daily staple because they’re so versatile! My favorite way to eat chia seeds if to find out after the fact. I like them in my new Mighty Nut, but they aren’t really my thing! I did love them in the Yummari snacks, though. I really am intrigued about how they taste in a nut butter like Mighty Nut! 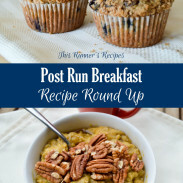 Thank you for the recipe and for pinning! I love throwing chia seeds in the blender in smoothies because then it gives me a bit of something to chew. I love the texture. LOVE. I always add chia seeds to the pot of oatmeal, great way for me to get the fiber and omega 3 benefits. I also try to add them to baking recipes, smoothies and when I used to make my three ingredient pancake. Chia seeds in oatmeal is my favorite! I add them to my oats every morning. Ooooh and your pancake idea sounds delicious – I’ll have to look for the recipe on your blog! I have learned to love chia seeds within the past few months. I feel like I am adding it do everything. Such an easy way to reap the benefits of a superfood. They are such an easy way to get so many vitamins and minerals! Thanks for sharing my pudding recipe! !